One of my passions in life is sharing news articles I find on the web relating to the alpaca industry and lifestyle. "Alpaca News" is a central place on the Internet where alpaca enthusiasts can find the latest news articles published about these exquisite creatures. Click on the headlines below to be taken to the complete story. Each link will open in a new tab. Open as many as you like. You will not lose this page. Click on the picture above to scroll through the latest added pictures. Bookmark this page and come back often. Updated daily. Have you had a news article published that I may have missed? Email the URL to the Editor and I will post the link here for you. Alpaca News is on Facebook. 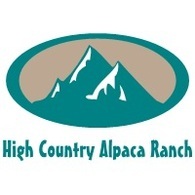 By providing links to other sites, High Country Alpaca Ranch does not guarantee, approve, or endorse the information or products available on these sites. They are provided for your enjoyment only.